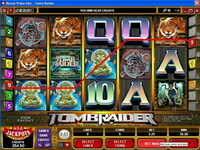 Software: All Jackpots casino utilizes Microgaming's Viper software. The graphics and sound were fantastic and the gameplay is very smooth. The software has an auto play feature as well as an expert mode. Autoplay allows you to set the software to play a designated time or number of hands/spins without having to click the mouse for each new hand/spin. Expert mode lets the software pick the best hand or action based on the most favorable odds. Please note, I do not recommend this feature to be used. There were times that the software had chosen actions that I would not have taken. 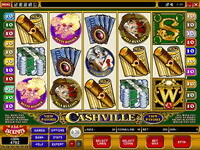 Loyalty Program: All Jackpots casino has a loyalty program called the Jackpot Club. For every $10 you wager in real money play, you'll get 1 Player Point. For every 1,000 Points you earn, you can claim $10 of free cash back. Please note - no points will be earned for play on Craps or Roulette. Support: Excellent around the clock live assistance, international toll free telephone numbers and e-mail support. Support staff was very knowledgeable and was able to answer all of my questions over the telephone without any problems whatsoever. Aside from easy to use software and a KILLER selection of games, the welcome bonus is fairly generous. I had to wait about 2 days for the payout, but that's pretty typical. Overall, a very well put-together site.